When we are interested in a topic or want to grow in a certain area of our lives, the most productive thing we can do is to to seek out the experts. We nay do this by reading books, follow experts on social media, or even meeting with people who can help us develop in these areas. Doing this in our spiritual life, helps us as we strive to grow in our walk with Christ. In the arena of prayer, one such expert is Daniel, who shows us how to pray especially in the midst of some of the toughest times in life. Who is Jesus? Is He really God or just a mere human that somewhere along the way go the title of God? As Christians, we affirm Jesus' divinity, the world we live in does not. We live in a culture that often questions the validity of this claim, and goes as far as devaluing or even denying it. So how can we be sure of who He is? Just like we do today, Daniel lived in a time where the people around him, denied that his God was truly God and even passed laws to prevent him from worshiping God. However, Daniel never wavered in his devotion to God. In this latest sermon, we will look at Daniel to see how we too may be faithful to God in a time when no one else is. As Christians, we often face a daunting amount of pressure in regards to our faith. At times, we may be face with the choice of giving in to the demands of society or facing the consequences of choosing our faith. How do we handle such opposition and what will sustain us in these moments? 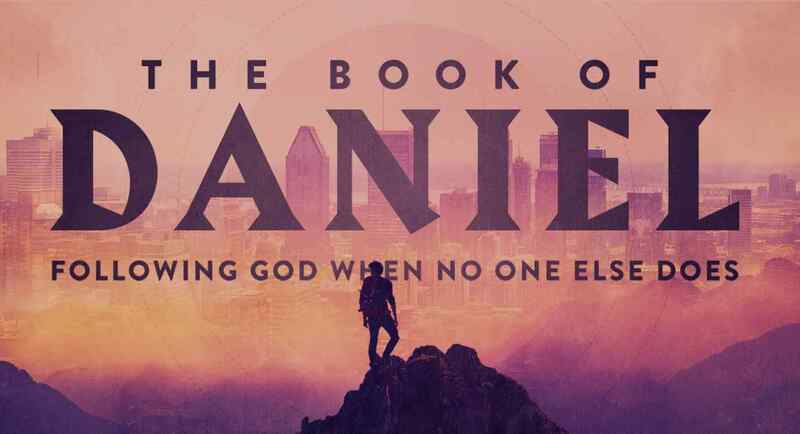 Join us as we study the book of Daniel in our Sermon series, "Following God When No One Else Does." Here we examine Daniel's life to see how we can follow God in a culture that is opposed to Him and His people. Life challenges each of us in unique ways. At times, it seems like all is good and so life is peaceful. Then there are the moments that wreak havoc and bring us pain. However, it matters how we respond to both extremes. At times, when life is good and prosperous, we fall to the temptation of believing that we are the architects of our prosperity instead as a blessing from God. And in times of bad, we may mistakenly respond in anger and frustration to our circumstances instead of God leading us to a deeper reliance on Him. In both situations, it can be easy to miss God callings us back to Him. So why do we respond in such ways when God in His word calls us to live differently? In this last sermon, we explore the tale of two kings and how they responded in their times of good and bad. Join us as we study the book of Daniel in our Sermon series, "Following God When No One Else Does." Here we examine Daniel's life to see how we can follow God in a culture that is opposed to Him and His people.